Posted by misscraftyfingers in Cooking, Recipe, Singapore. Here’s my neighbour’s recipe! Fast and easy! Flour paste – some plain flour mixed with water seasoned with some sugar and/or mushroom granules Note: just a small amount of paste is enough – about 1/2 a ricebowl, it’s used for sticking the seaweed to the beancurd skin. 1. open up the beancurd skin. Wipe beancurd skin with damp paper towels on both sides. Tip: Store bought beancurd skin is salty, wiping it with paper towels will prevent the results from being too salty. 3. Brush half of the beancurd skin with the flour paste. 4. 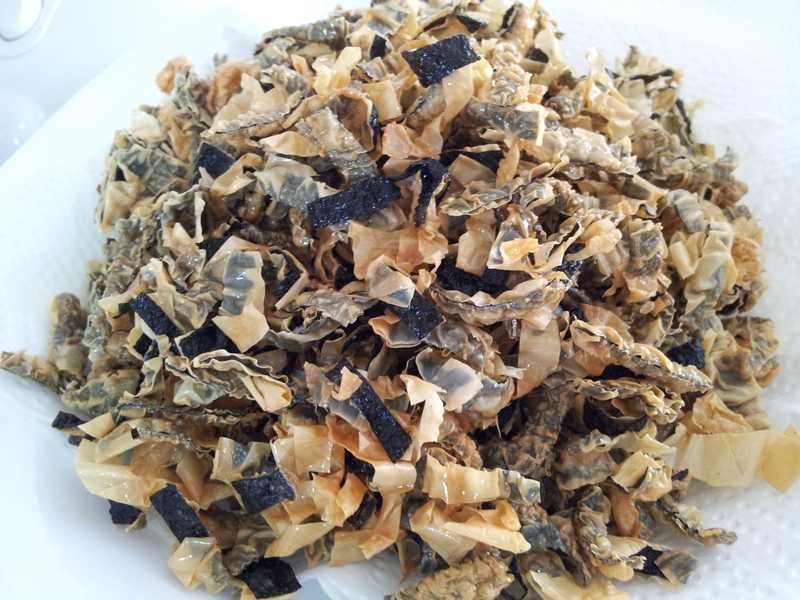 Lay the seaweed sheets on one side of the beancurd skin. 5. 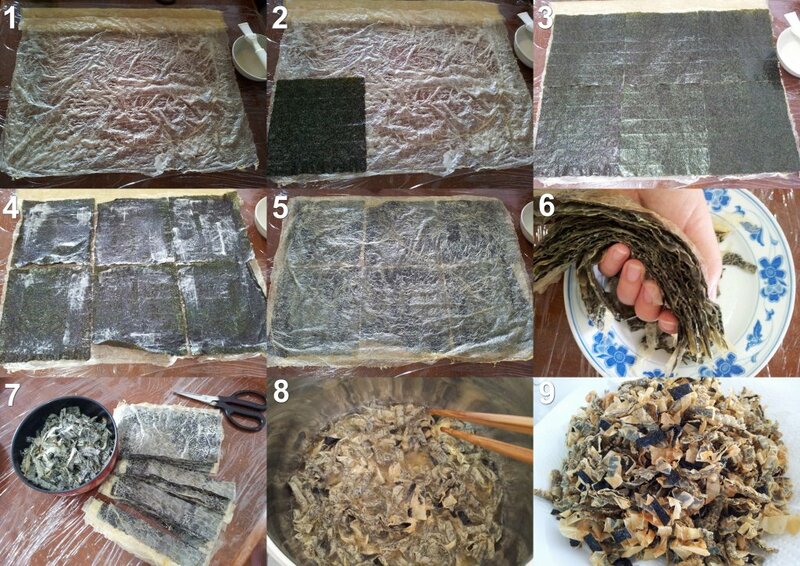 Brush the seaweed with the rest of the flour paste. 6. Fold the other side of the beancurd skin over to cover the seaweed. 7. Cut into smaller sheets. Leave in fridge for about 15 minutes for the flour paste to dry up a little. 8. With medium heat, deep fry the strips quickly until light golden brown. Remember to keep stirring as they brown very fast. Tip: If the oil is too hot (ie, the crackers turn dark brown very fast), add some more oil to bring down the temperature. 9. Drain and cool on paper towels. 10. Store in air tight containers immediately after cooling to retain crispiness.